This is a summary of a paper I presented at the International History of Public Relations Conference at Bournemouth on 8 July 2015. 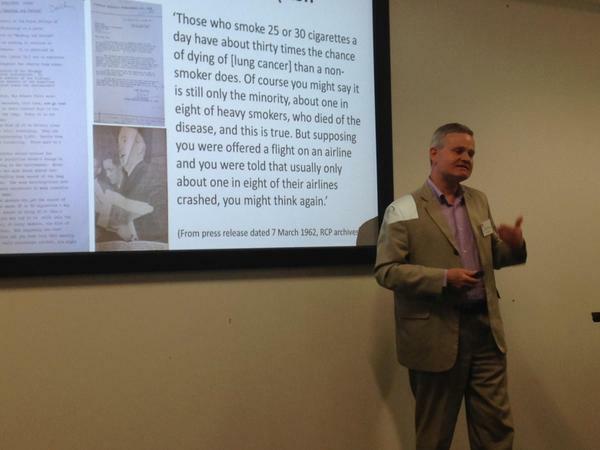 Is the anti-smoking campaign the public relations campaign of the twentieth century? It scores on awareness of the link between smoking and disease; it has achieved widespread attitude change around the issue of passive smoking; and it has reduced smoking from a majority to a minority habit. Some might argue that the campaign has not succeeded because almost one in five of adults (19%) still smoke. But those behind the campaign had a different goal – to make smoking abnormal in society. This was not initially a government campaign. It was initiated by a professional group of doctors – the Royal College of Physicians – whose only previous public campaign had been to lobby for an increase in the price of gin in 1725. Nor was it obvious that doctors should take a stance on smoking. Some still smoked in the 1950s, and many felt that it was not their role to campaign against cigarettes as they were not a disease (though smoking could lead to disease). Change came with the election of Robert Platt to the presidency of the Royal College of Physicians in 1957. His greatest achievement as president was the report on Smoking and Health published in 1962. The catalyst for this report was a chest physician, Charles Fletcher, who had presented two BBC television programmes about health in the late 1950s and was a natural communicator. Fletcher edited the report to make it comprehensible to the public and members of parliament (previous reports from the college had been written for medical practitioners only). This report was launched on 7 March 1962 – Ash Wednesday – when the college held its first ever press conference. The report received extensive and largely positive press coverage – and interviews were given to the BBC and ITV (the only two television channels in the UK at that time). Journalists accepted the evidence, though some questioned what action government should take. Men and women must decide for themselves whether to continue smoking or not. For the Government to try to do it for them would be an interference with individual liberty. That is our first reaction the latest report on the relationship between cigarette smoking and lung cancer. It comes from the Royal College of Physicians, whose warnings should be taken to heart. After years of argument there is no longer any doubt about the correlation between the smoke and the disease. The evidence is too overwhelming to be explained away. We would strongly oppose the suggestion that the price of cigarettes should be made almost prohibitive. This is the wrong approach. To regulate smoking in public places is a better proposal. The foul atmosphere of cinemas and some theatres is a reproach. But if restrictions are to be applied to tobacco, as they have to smoke from chimneys, why not also to car fumes? It is time some cleansing apparatus on exhaust pipes was made compulsory. The tobacco manufacturers have spent a lot of money on research into lung cancer and have published the results without fear or favour. As they say themselves, still more is needed. If they could find how to take the risk, but not the pleasure, out of cigarettes, they would do themselves and the public a great service. The report sold well in the UK and the US and it received widespread and largely positive press coverage. But it did not initially lead to government action. Some limited restrictions on TV advertising were introduced in 1965 and the Health Education Council (now Health Education Authority) was formed in 1968. It commissioned anti-smoking campaigns from Saatchi & Saatchi in the late 1960s and early 1970s. So the initial response was disappointing, and after a brief decrease, numbers of those smoking (especially women) began to rise again. The Royal College of Physicians decided to keep campaigning. 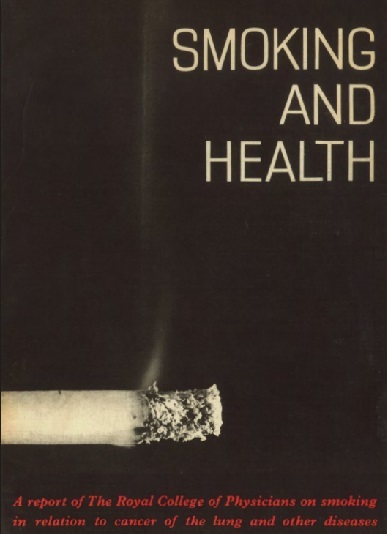 A follow-up report ‘Smoking and Health Now’ was published in 1971 (this described the deaths from smoking-related diseases as a ‘holocaust’) and the College established the campaigning group ASH (Action on Smoking and Health). Further reports followed in 1977 and 1983 – by which time attention had shifted to the issue of passive smoking. Today, the UK has the strongest controls on tobacco of any country in the EU. Banning tobacco advertising, increasing taxes, banning smoking in public places have all helped to make smoking abnormal – but government was initially slow to act. The campaign against smoking is now seen as a model for other public health campaigns (only this week doctors have called for an increase in the price of sweetened drinks). It marked a shift from doctors focusing on treating infectious diseases to campaigning on chronic (‘lifestyle’) disease, using the tools of public relations and public affairs. Here’s my belated contribution to Andy Green’s #PRredefined initiative – and also to those who would separate craft from professional public relations, or internal from external comms. The interesting question for me is not ‘what is PR?’ but rather ‘what’s the purpose of public relations’? Publicity is not an end in itself, but a means to some other end. The purpose of publicity is often to serve a sales or marketing end. There”s nothing wrong with this except that it makes it hard to distinguish public relations from marketing. Yet if we separate publicity from public relations, we lose the base of the pyramid, the most widely-practised part of the business. We also lose our foot-in-the-door since the desire for promotion is universal, and by no means limited to the private sector. (Just think how charities and campaigning organisations use public relations). So I’m happy to accept the promotional aspect of public relations – and would argue that the proliferation of media channels and rise of social media makes public relations a more broadly-useful approach to promotion than advertising. The decline in trust also makes it more valuable than SEO or search marketing. But PR’s trump card has nothing to do with one-way publicity. It’s to do with reputation and relationships – with an end goal of maintaining an organisation’s ‘licence to operate’. Let me back up a bit in order to explain this. Let’s take the long view of the promotional industries. In the nineteenth century, promotion was in its infancy. What mattered most was resources: capital, energy, raw materials and cheap labour. Making things was the hard part – promotion could come later. What’s changing in the twenty-first century? We don’t yet have the benefit of hindsight but it seems to me that brand is a diminishing rather than a growing concept. What’s becoming important is ‘legitimacy’. Let’s take an example. Marlboro was an exemplary twentieth century brand, complete with memorable advertising. What’s changed is the public acceptability of smoking – and the tightening restrictions on tobacco promotion in western countries. No amount of brand recognition counts against the legal and societal constraints on smoking. The only credible strategy for Philip Morris it to de-emphasise its tobacco business in favour of its food and drink brands (in other words to save the business, not the brand). Which business will come next? It could be a fast food supplier like Macdonalds (because of concerns over obesity and over meat production) or energy or transport companies (environmental concerns). Promotion and promotional culture are not about to vanish, but they are becoming less important than the other role of PR – the defensive and adaptive role that helps organisations manage society’s expectations (or to argue for society to change its view of an industry as has been happening with nuclear power generation in the context of the need to meet low-carbon energy needs). That’s why I view public relations as a double-edged sword (‘to promote and protect’) and that’s why I believe it has a bright future. 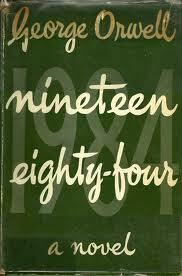 1984 was not the most momentous year I’ve lived through. That was probably 1989 when the ‘iron curtain’ crumbled leading to the later reunification of Germany and the disintegration of the Soviet Union. But 1984 is the more resonant date. Thirty years on, let’s revisit 1984. Here are three reasons to remember a year long before most of my students were born. Orwell’s book was published in 1948, and the title came from reversing the final two numbers to produce a future date by which his nightmare vision of state suppression of individual identity might have come true. It didn’t, and today the nearest thing to Orwell’s nightmare is North Korea (officially exposed by a United Nations report last week). Or is this too optimistic a view? Pessimists might argue that the greatest threat to individual liberty comes from surveillance, not least by ‘free’ nations (as exposed by Edward Snowden’s revelations). Whether it’s a flippant observation on the popularity of Big Brother, or a more serious debate about the limits of individual liberty, Orwell’s Nineteen Eighty Four still resonates years later. Harvard referencing conventions mean that 1984 is also memorable for one of the most frequently-cited academic contributions to our field, Managing Public Relations. Thirty years on and PR students are still debating the ‘two-way symmetric’ model in class and in their dissertations, and one of the co-authors – James Grunig – now has an eminent place in public relations scholarship. In contrast to Orwell’s dystopian novel, this book (with its now-famous model) can be viewed as a rather utopian vision of how public relations can benefit society as well as the organisations paying for it. Many more books have been published and the field has expanded since then, as well as adapting to changes in the business and media environment, but the frequent citations mean this book has gained the status of a seminal text. This is one of the most discussed advertisements of the twentieth century, yet it only played once during the Superbowl. The Orwellian echoes are obvious; less so now is the attack on the unnamed enemy (assumed to be IBM). The IBM PC had launched a few years earlier, and Apple introduced its friendly Macintosh personal computer as the opposite of the corporate choice. You’d be wrong to assume that the narrative turned out this way. Apple found itself in trouble a year later and its founder Steve Jobs was forced out. It was only after his return that Apple reinvented itself with new categories of products (music players, smartphones and tablets) that became bestsellers. Arguably, it was the open architecture and low cost of the IBM PC with its Windows operating system that helped turn computing personal and which provided the platform for the internet to take off in the 1990s. But don’t let the truth get in the way of a good story: Apple’s narrative of individualism, dating back to 1984, is compelling. Looking up at the night sky, our ancestors gained an understanding of the stars, planets and constellations, naming many of them. It was only much more recently that a scientific approach gave currency to the view that planet Earth was just another peripheral object – not the centre of the universe around which everything else revolves. During the twentieth century – the age of industrialisation and mass media – marketing approaches put ‘me’ at the centre of the promotional universe. Branding, advertising and, yes, much of public relations were devoted to the promotion of ‘me first’. This makes sense; it’s how capitalism works. It’s what clients want to hear from their agencies and employees. So what’s changed? In the twenty-first century we’re no longer passive audiences reached by mass media. Following the financial crisis and with ever present concerns about environmental and economic sustainability, there’s a need for a new approach. A need for us to consider citizens above consumers, as Robert Phillips argues. This presents an opportunity for public relations to emerge from its marginal role within the ‘marketing mix’ and to return to what it was always designed to do – to develop relationships with constituencies vital for the success of the organisation. As Steve Earl and Stephen Waddington show in their new book, the best defence an organisation can build to protect itself from attack is to have a network of influential friends willing to volunteer their support in a time of crisis. Since this support cannot be bought and nor can it be negotiated in advance, it’s a risky strategy. But the greater risk is extinction. The end purpose of public relations is legitimacy – the continued licence to operate. This licence is granted – and can be withdrawn – by politicians, employees, customers, activists (in short, by society). So the job of public relations is to gain understanding and support from groups beyond the organisation’s direct control (even employees have autonomy, and are often the organisation’s fiercest critics). 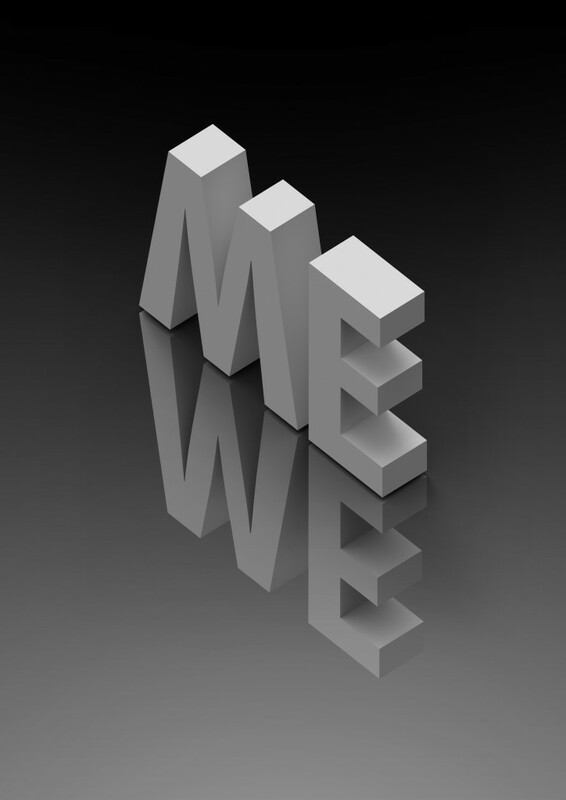 There are risks in putting ‘we’ first. It’s the problem politicians face in a democracy: they have to present policies with popular appeal, so promoting short-term interests over the long-term. The danger of ‘we’ capitalism is that it’s no more successful but that it’s much less honest than ‘me’ capitalism. The challenge for public relations is to emerge from marketing-led short-term measures and to find ways to measure how public relations contributes to long-term sustainable success. To make a start, let’s recognise our place within the universe. Here’s the challenge. It’s easy to teach tips and tricks, but it’s much harder to teach students to join up the dots. There’s an obvious analogy here. Imagine learning a foreign language (one not using the Roman alphabet). First you have to learn the shape and sound of the letters; then you learn some words; then phrases. But you still can’t read, write, or hold a conversation. That takes months or years of immersion and hard work. Students can learn to recite some models and theories; they can easily be taught to write press releases. But they don’t know why they should (or shouldn’t) use one. They don’t have a bigger picture in mind. They’re not alone. Many practitioners focus on the ‘what’ and avoid answering ‘why’. I see this when I visit work placements and realise that too many practitioners are still counting the value of PR based on spurious measures such as AVE.
Who are the experts in joined-up public relations? I’m sure there are many, but the following four people stand out for me because they’re not only doing it – they’re regularly sharing insights with the rest of us in books, blogs and talks. Robert Phillips (@CitizenRobert). This former Jackie Cooper PR and Edelman consultant presents an articulate critique of PR’s role in the consumer society. Key quotation (from his chapter in Where the Truth Lies): ‘We urgently need to change our language and to appreciate that citizenship is a more vital element of a healthy society than consumption without restraint. PR is no longer merely a sales tool’. Heather Yaxley (@greenbanana): Research academic, author, tutor, blogger, consultant, Yaxley seems to be everywhere at present. Her key insight is to unearth the shamefully hidden female side to public relations (she will condemn me for this unbalanced shortlist). Her thinking’s joined up because it draws on insights from history, psychology, business and management. PR Conversations is a must-read blog and I’m using her co-authored book The Public Relations Strategic Toolkit in my teaching this year. Even from this short summary, you can see that joined-up thinkers are looking outside and beyond one narrow discipline, and asking (often awkward) questions about its future. We need more of them. Public relations: on the side of the angels? In place of full reviews, here are some themes from four new books I’ve been reading this summer. The first is long-awaited. It explores the connection between public relations and leadership (as distinct from management). Kevin Murray’s The Language of Leaders (first published in 2012, but I’m reading the 2013 second edition) is concerned with the leadership traits and communication skills of senior executives, not the PR skills of their advisers. Based on interviews with CEOs, it’s an anecdotal but intellectual book that covers key traits and explores ‘why you need to be a better communicator if you want to lead.’ The book presents twelve principles of leadership communication. Though Richard Branson was an interviewee who eluded the author, his example as a communicative leader is an inspiring one. Kevin Murray is a senior practitioner, though one with an impressive commitment to scholarly publications. 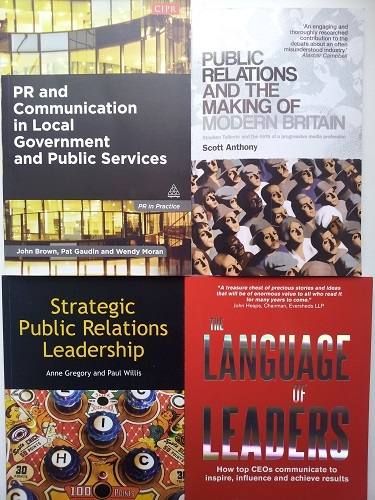 Anne Gregory and Paul Willis, both based at Leeds Metropolitan University, have written the pioneering Strategic Public Relations Leadership. From Grunig and Hunt’s landmark textbook Managing Public Relations in 1984 to Moss and DeSanto’s 2012 Public Relations: A Managerial Perspective, management was the key challenge in the academic literature. Now it’s leadership. The book articulates the strategic contribution of public relations and explores the qualities and attributes of public relations leaders before describing their responsibilities. It’s a rich and rewarding read, but the practitioner is spared the opaque language and obscure references of many academic texts. That’s because the book uses footnotes, many of which are detailed explanations of academic sources and concepts. It’s an ideal textbook for a senior practitioner qualification that doesn’t yet exist (since the CIPR Diploma is still stuck in the management paradigm). My second theme is public relations and the public good. At first glance, this is a challenging concept, since it’s much easier to see how public relations is used to protect and promote private interests. John Brown, Pat Gaudin and Wendy Moran have written PR and Communication in Local Government and Public Services for the Kogan Page PR in Practice series. Some texts in this series are purely ‘how to’ guides written by practitioners, showing little awareness of wider debates and academic contributions to the field. This is an altogether more sophisticated read, even containing some historical context and citing scholars such as Jacquie L’Etang and Scott Anthony (see below). Yet is the rebranding of PR as communication in the title and throughout the text an attempt to distance responsible communicators from the discredited image of PR consultants? Scott Anthony’s Public Relations and the Making of Modern Britain was published last year, but I waited for the (much cheaper) paperback to appear this year. Its subtitle is ‘Stephen Tallents and the birth of a progressive media profession’ and this indicates the balance of the book. Rather than being a straightforward biography of Stephen Tallents, one of the founding fathers of British public relations, the book presents the emergence of public relations within the context of the history of ideas. In other words, public relations originated in a desire to create a more harmonious and cohesive society. I’m sure the authors of PR and Communication in Local Government and Public Services would agree. As with the Gregory and Willis book, the text is supported by extensive footnotes, making a complex book a manageable and brief read. Just as many seem to be ditching the name ‘public relations’ we have a Cambridge academic writing a revisionist history to make professionals feel much better about their practice. It was during the final session of the second annual International History of Public Relations Conference (#ihprc2011) when event organiser Professor Tom Watson said something explosive. While cantering through his 'evolution of evaluation' talk, Watson said that public relations had begun as a holistic activity in the early twentieth century, but during the second half of the century had become a narrower publicity function driven by the rise of the consumer society. Watson did not have time to elaborate – nor did he need to given the audience he was addressing. But I'd like to offer my own interprepration in the hope that this will reach a few more people beyond those who attended. I call this explosive because it reverses the widely-cited and therefore presumably broadly-accepted depiction of PR as having emerged from one-way publicity before developing into professional two-way communications. Watson suggests we're in danger of going the other way. Other speakers at the conference showed that 'the more things change, the more they stay the same' and keynote speaker Ray Hiebert (starts after 13 mins) comprehensively demolished the certainties of the Grunigian world view (note that he had hired James Grunig to the University of Maryland) when he dismissed the idea of a 'general theory of public relations'. The tension between PR-as-craft (exemplified by Ivy Lee) and PR-as-strategic-management (Edward Bernays) has been there from the early twentieth century. Public relations examples can be found further back in history (one paper contrasted More's Utopia with Machiavelli's The Prince – which was, as I suggested, to compare a saint with the devil incarnate), though Gunther Bentele rejects as unhistorical the use of the term public relations to describe these early examples. He suggests they are rather examples of public communication.